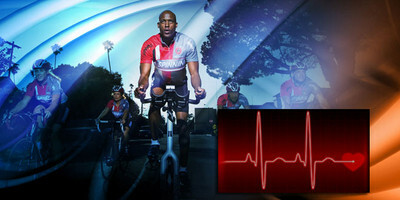 Unarguably, training within specific zones of intensity provides the tools and measurements with which to structure and interpret effort and result.Spinning® students, cyclists, marathoners, triathletes, paddlers, cross-country skiers, in fact, all athletes know the value of assessing their heart rates and power wattage when it comes to developing training programs and documenting performance. 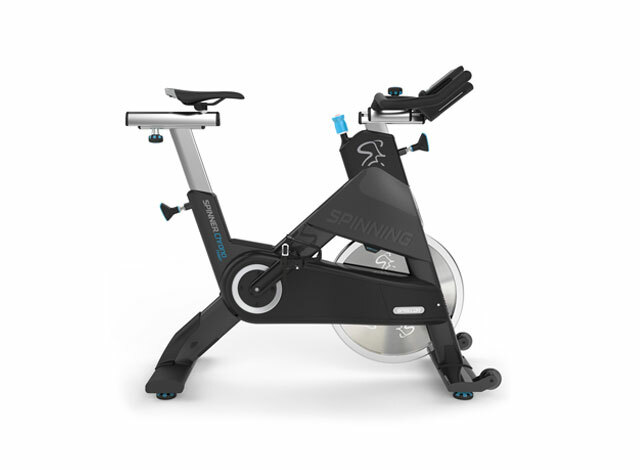 In Spinning® class we call for 50-65% of MHR (maximum heart rate) for Recovery, 65-75% for Endurance, 75-85% for Strength and 65-92% for Interval Zones. We toss about terms like maximum heart rate, anaerobic threshold, lactate threshold and RHR (resting heart rate). We ask students to invest in a heart rate monitor, disallow them from manually taking their pulse, and encourage them to stay within their zones, balancing the numbers against RPE (rate of perceived exertion). All too often students, especially newbies, reel with the jumble of numbers: heart rate zones, rpms, rpe. They write them on their water bottles, hands and little cheat sheets that they discreetly prop on their handlebars. They spend excess energy stressing and thinking. To make matters worse, they are told to first go by age-predicted heart rate numbers. Then they are asked to find their RHR and calculate the Karvonen formula as a means to further individualize their training zones. Sometimes they are led through an exercise to subjectively determine their lactate threshold and use that number to further dial in. Worse still, students who, we hope, continue to progress, just might be striving to work in a specific zone or dedicate hours to exercise that is too easy because their fitness has increased and what was once adequately challenging is now a waste of time. Stop. There is a solution but it requires a specialist and a fee. There was a time when recreational athletes and fitness enthusiasts thought that VO2max testing was impossibly painful and applicable only to the elite. Wrong. 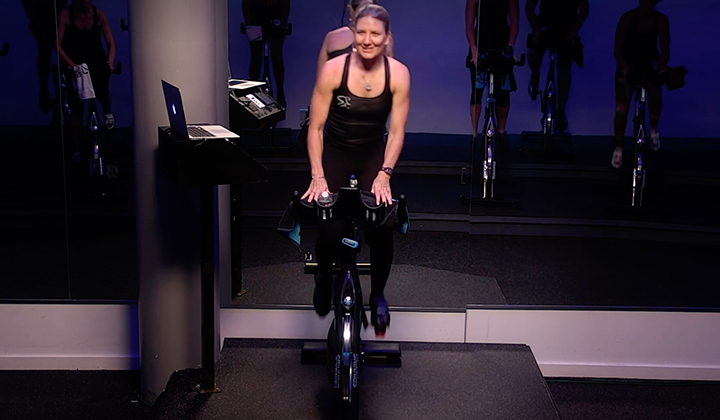 As soon as a Spinning® student becomes comfortable on a Spinner® and learns how to use his or her heart rate monitor, VO2max testing would be beneficial and take all the guesswork out of intensity. Let me share with you what many of my students and I do. Joey Adams, Metabolic Assessment Specialist and Spinning® PMSI, is our go-to expert. 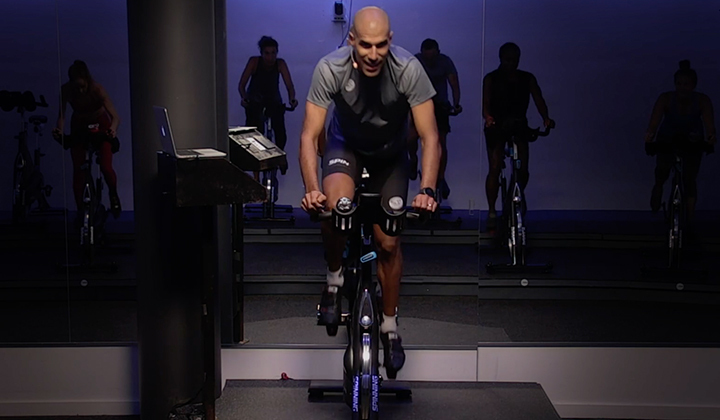 For 90 minutes of time and the cost of little more than a fancy cycling jersey, we can sit quietly for 20 minutes to unquestionably establish BMR (basal metabolic rate) and then ride through a brief escalation that objectively determines our personal and specific training zones. That’s it. No more subjectively rating your perceived exertion. No more wondering if you have correctly calculated your maximum heart rate or your lactate threshold. No more punching in your age minus a dozen years hoping for a more realistic number. These are your numbers. Badabing. Voila. 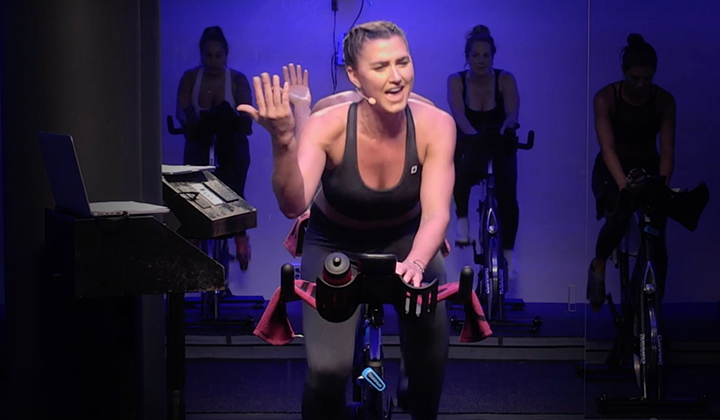 As a recreational athlete or Spinning® participant, how much your precise VO2max number means is debatable. What is a sure bet though is training appropriately, and this you can do more efficiently and effectively with accurate, tested heart rate training zones, the results of VO2Max testing. Exercise at its best works. While it is imperative to be able to reach the highest levels of performance for some of the time, it is equally imperative to patiently build a strong aerobic foundation on which to build the fancy stuff, the dramatic sprints and climbs. To finish is a universal goal. To finish, one must have a base, a base built upon hours, miles and information. Stop spinning wheels. Take the guesswork out of your numbers by professional testing. Wherever you are in your fitness quest, you are an athlete and deserve to do so.